Despite its relative longevity, Email marketing continues to be the most popular form of online content marketing. According to inbound marketers Hubspot, investment in Email marketing will hit $2 billion by 2014. Gone are the days of sending out thousands upon thousands of “blast e-mails” to an un-targeted mass audience to sell a product or service. Businesses are now building sophisticated Email marketing campaigns to promote their best online content marketing collateral to a well-defined target audience of new prospects and existing customers. These campaigns offer a series of highly-coordinated emails that provide relevant TOFU, MOFU, and BOFU content offers at the appropriate time in the buying cycle. 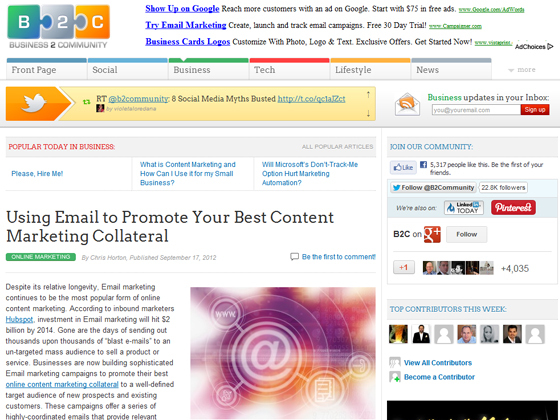 Here is a six-step approach to using Email marketing to promote your best content marketing collateral. 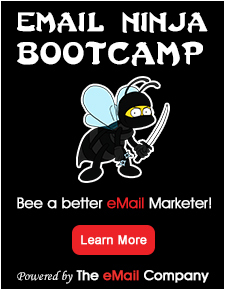 Set specific goals for your Email marketing. Begin by defining what you are trying to achieve with each campaign. Are you trying to promote a product or service to an audience of hot new prospects, or inform existing prospects about a new offer? Having a clear picture of the ultimate goal of your Email marketing campaign helps to clarify your target audience, choose the content marketing collateral that speaks to their wants and needs, and inform which metrics to use to define success. Taking the time to create individual buyer personas forces you to really channel your target audience, clarifying both who you want to reach, and what you hope they will get out of your message. After all, if you don’t even know precisely who your audience is, it’s difficult to provide value to their lives.